WordPress has been evolving as a CMS from a preferred blogging platform to a preferred website platform. Every new release for WordPress adds a whole lot of functionality to its CMS and thus each new WordPress theme also come with a whole lot of features. Along with the themes, the user expectations seem to rise as well. User expect to see sliders, fully functional admin panel, responsiveness, integration with social media networks and much much more with a WordPress theme. With so many premium and free themes available all around today, people are spoilt for choice. In addition, it is a humungous task to dig out the right theme for you. It is free for all our DealClub members. Here is the preview of this dynamic WordPress theme by WPEka. This theme is a multi purpose theme suitable for magazines, blogs and the likes. It is one of the most popular themes with the WPeka club. 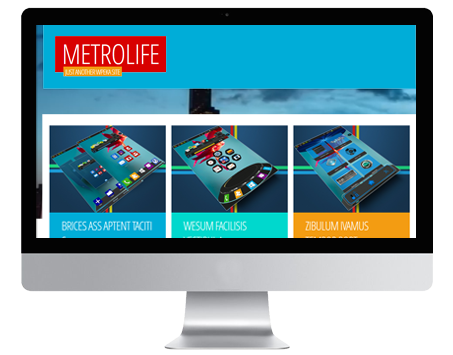 Ready to grab the Metrolife WordPress theme?